Are These Fortnite Lightning Strikes Hinting at Season 6? The saga surrounding the giant rift in Fortnite continues. 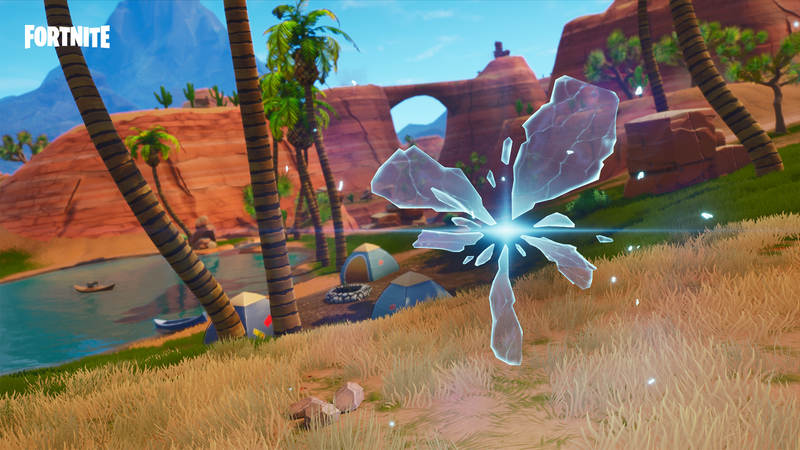 It began to shrink in Season 5, but it remains active. Now, it’s behavior is even stranger. For some reason, lightning bolts are coming out of the rift. Even stranger, these lightning strikes are hitting one specific area. The lightning is targeting one spot in Fortnite‘s desert. According to FortniteBR, the bolts are apparently occurring every fifteen minutes. But the oddest thing is that, seemingly at random, the lightning will destroy a single cactus. What will happen when all of the cacti are gone? Only time will tell. This seems to be part of the lead-up to Fortnite Season 6, which is imminent. We don’t know what the upcoming season will entail, but from the looks of it, something big is in the works. After Seasons 4 and 5, the map is due for a significant change, and the desert seems like a likely spot. If you’re more concerned with the present, Fortnite‘s 5.30 update is live. Along with an all-new Limited Time Mode, it also brought with it portable rifts! It’s unknown of the Rift-To-Go will appear in Season 6, but we can only hope.